Universal Flooring Solutions offers complete flooring installation and restoration services for commercial, industrial, and high-end residential locations. 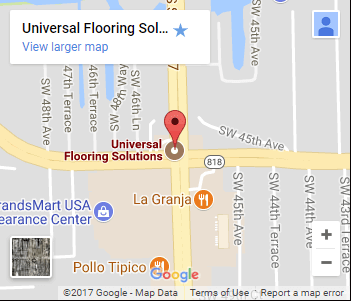 Located in Davie, we conveniently provide flooring care and services to clients throughout South Florida. We take great pride in providing quality and dependable floor care services that our clients can rely on. Our trained and experienced flooring technicians provide you with complete restoration, repairs or new-installation efficiently using the latest tools as well as innovative methods that get the job done on time and without damage to your property.